In an area where there are widespread opportunities, Summit Park offers tremendous potential for businesses both in terms of commercial growth and employee recruitment. Around 8 million people live within a 1 hour drive of the scheme. 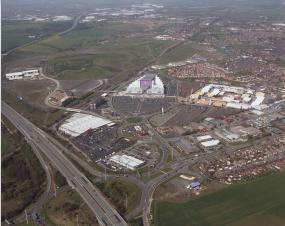 Summit Park also benefits from adjacent shopping and leisure facilities, which currently include occupiers Asda, Freeport, Xscape, B&Q, Pizza Hut and McDonald’s.